Google is flowing fast. 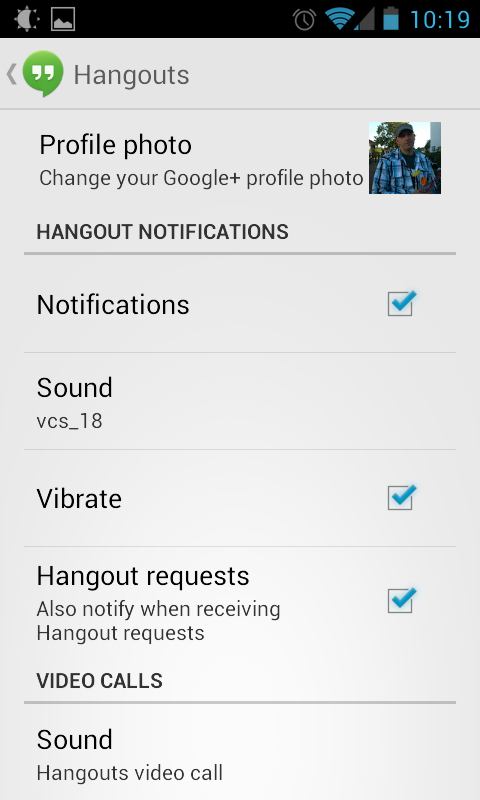 2 days ago they introduced Hangouts. 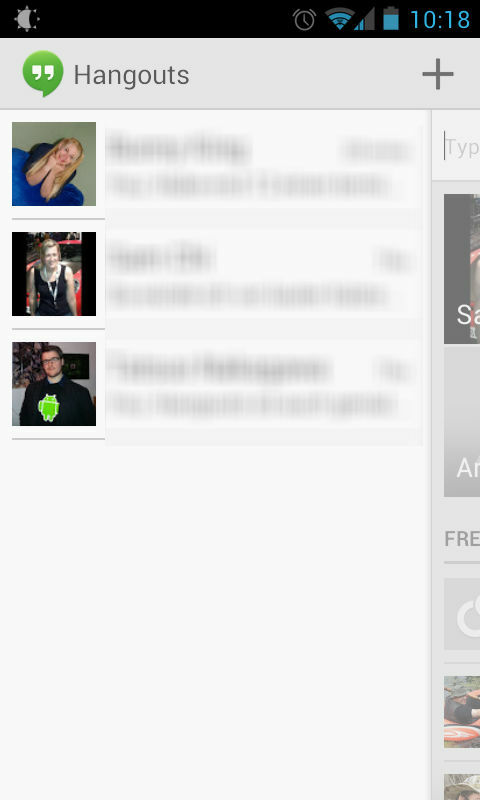 Now the GTalk app updates to Hangouts. Here is why you should rejoice. Hangouts combines Messenger, GTalk and the old Google+ Hangout to one stand-alone app. This app is available not only on Android, but on iOS, Desktop (OS X, Windows, GNU/Linux), Google+ and GMail. So all major platforms are in the boat. The new design is brilliant, the contact-list is more convenient for normal users, and adding new contacts is much easier. On install/update you will be ask to verify your telephone number. I'll guess this is for future updates and finding people you're connected with. This is the WhatsApp-Killer. Text, inline photos, and video cross-platform. Notifications syncing on all your devices. That means if you've read the notification it disappears on other devices, so you don't get bothered again. 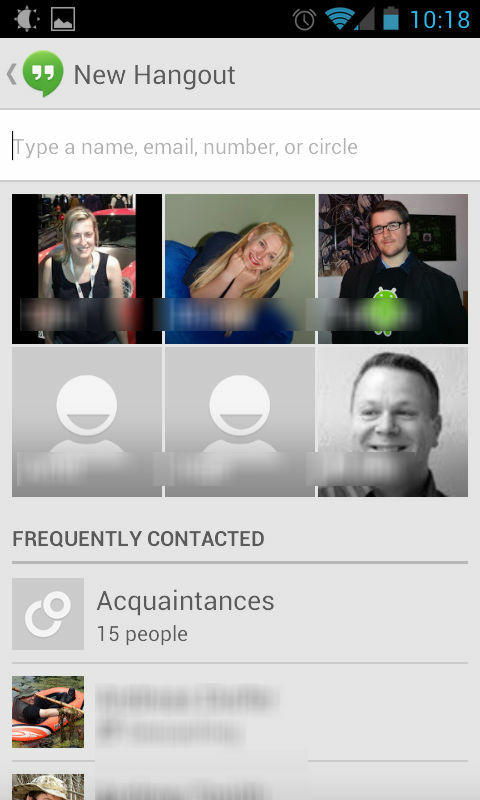 Another major feature is of course, the ability to have group chats with specific people, or your whole Google+ circles. That includes video conferencing. I'm really satisfied. This is the thing I've been waiting for. There is some moaning from a few, that obviously have a SMS flatrate, why SMS is not supported. I think it will come sooner or later to Hangouts. But there are some problems. On iOS it's not allowed for 3rd party vendors to use the SMS function. Secondly, it's great if you have an SMS flat, but I want to know exactly when and how my message was delivered. I do not want to have a senseless conversation and pay a lot of money only because they forgot to told me they are just using an ancient phone. I mean come on it's 2013. Smartphones are everywhere. I don't see any need for SMS. And yes, if you really know someone that lives under a rock without a smartphone, you can still use the normal SMS app in Android or any other platform. Then you also know that you have to pay $$$ or when it's using your data bandwith. I'm all for this new Hangouts. Now it's very important that it will be successful from the start. I hope some of the typical Nay-sayers can hold for some time, to let this get some traction.